Exercise balls are a very useful tool to help you burn calories, improve muscle tone and they are really good for boosting your core strength. 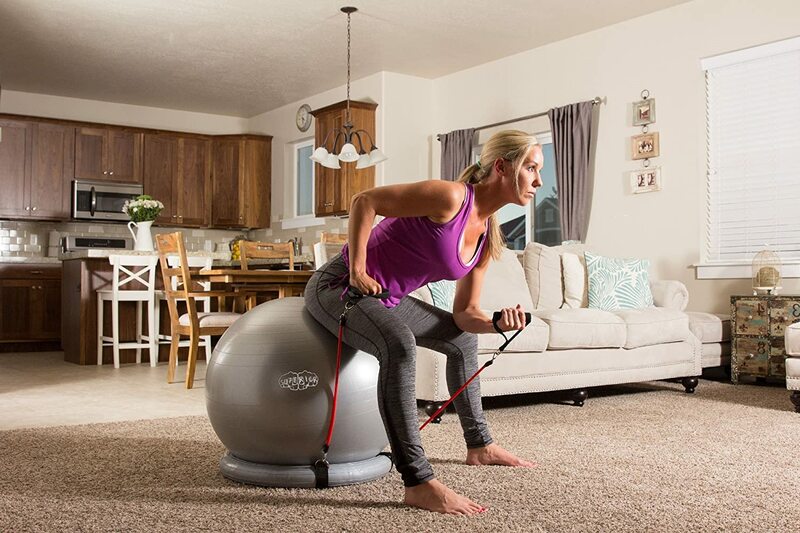 They are often called stability balls and this is because they are inherently unstable, so workouts where you are partially supported by them are really effective at engaging your core and fine stabilizing muscles. These muscles are terribly important in our daily lives for maintaining good posture and preventing injuries. Much of the machines found in gyms are designed to target larger muscle groups and exercising with these machines does not work these very important core and stabilizer muscles. The downside of this is that these muscles become weaker and make us far more prone to injury. Following any of the exercise ball workouts for women shown below will make sure these muscles are getting the attention they need. Sure, there are many exercises than can be done using fit balls that are particularly good at targeting your core and stabilizing muscles. 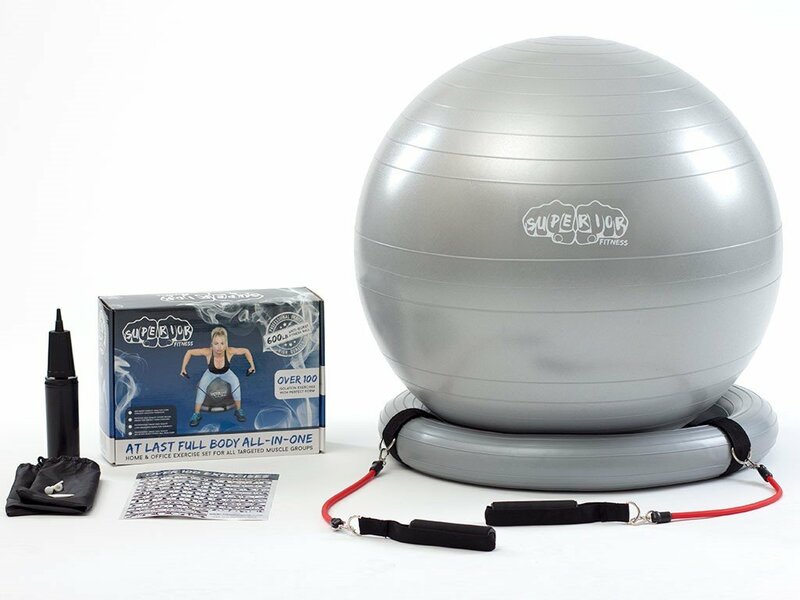 The great thing about these balls though is that there are also many exercises you can do with them that work other larger muscles such as your glutes, hamstrings, abs, obliques, back, shoulders, arms etc. This versatility means that you can work your whole body using just one of these balls. To really tone up your muscles all you need to do is add some resistance bands and dumbbells and you have a full body conditioning system right there in your lounge room. A pack like the one below will give you everything you need to get started. Don't waste time travelling to and from the gym. Get a full workout at home in half the time! 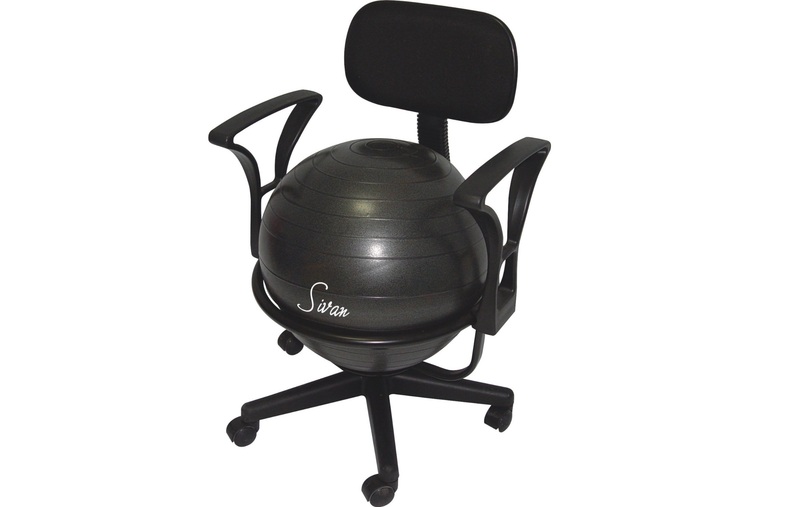 Another great use for exercise balls is as a chair for people who work in sedentary positions such as office workers. This is gaining huge popularity and you will see more and more of these popping up in offices everywhere. They are also great to use in the lounge room while you are watching tv. 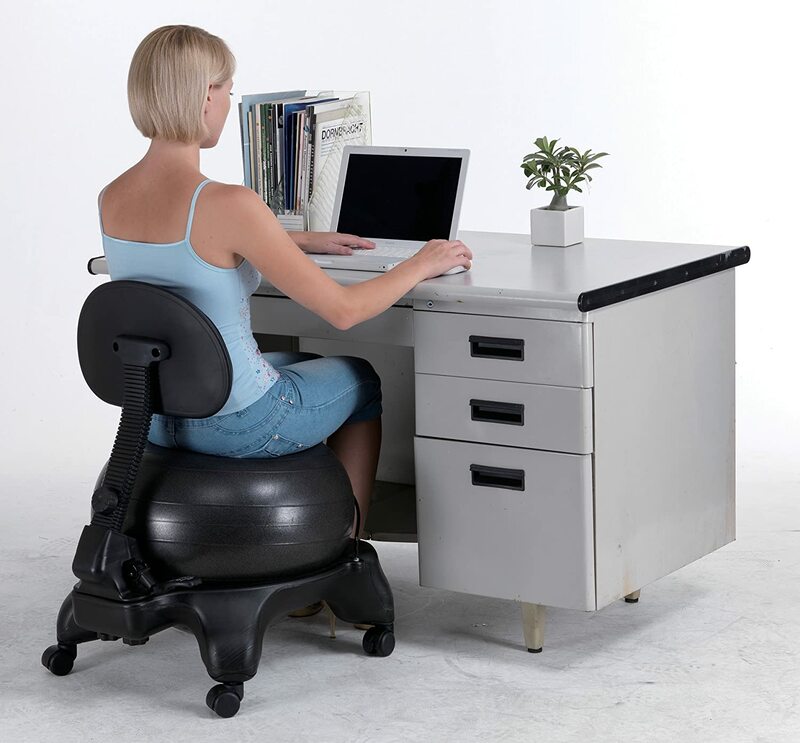 Using a chair that incorporates a stability ball will really engage your core however it is important to make sure you maintain good posture as slouching on them can do more harm than good. If you are just starting out using them you will not be able to maintain good posture for long periods as your muscles will fatigue. As they strengthen you will be able to sit on them for longer periods and this is a good way to gauge your core strength and measure your progress. Strengthen your core in style while you work. What more could you want! If you are short on time and want to squeeze in a quick workout this 10 minute exercise ball workout will work your whole body. It might only take 10 minutes but you will surely know you’ve done it. If you’ve got a bit more time then this 40 minute workout is great. This workout is aimed at beginners but will also challenge people that already have some experience with stability balls. This workout is targeted at your core and abs and is a bit more serious than the previous two. If you are comfortable working out with an exercise ball and want to really give it to your core and abs then this is the workout for you. Good luck! Pilates is well known for conditioning the whole body, particularly the core and stabilizer muscles. This workout incorporates a fitness ball and is suitable for women who work out at an intermediate level.